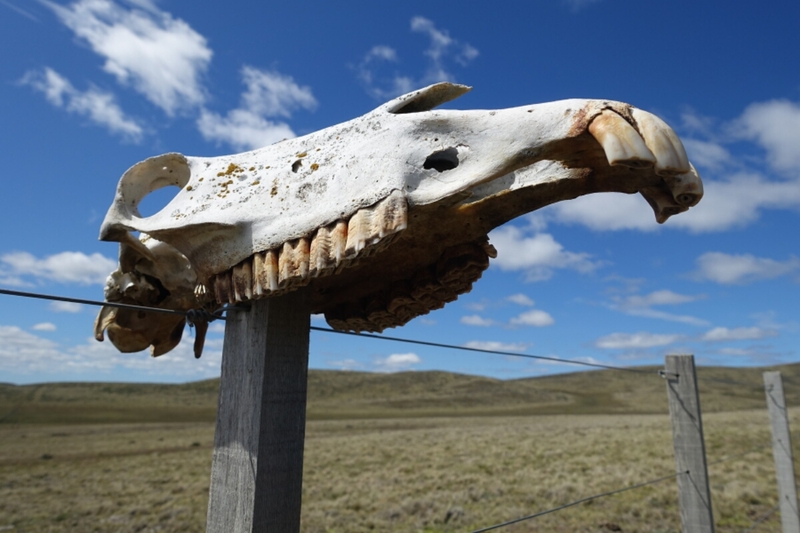 So our 5 days in the wilderness did not go according to plan! Started the adventure with a local pulling us over 20km down the dirt road and telling us that the border might be closed. We decided to push on through and check as the wind was with us and the views great. 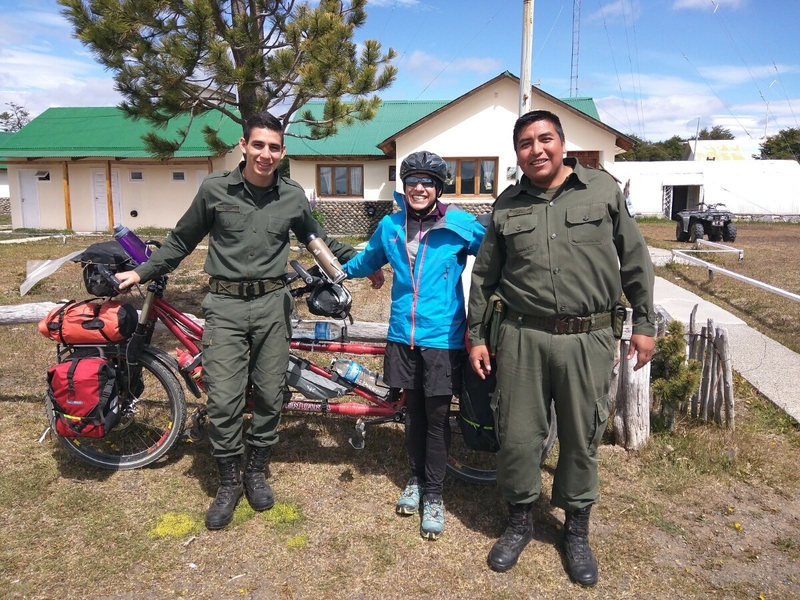 After a long day in the lovely countryside from Rio Grande to Radman border crossing we arrived to be told by the military guards that that the border would be closed for another 4 days. 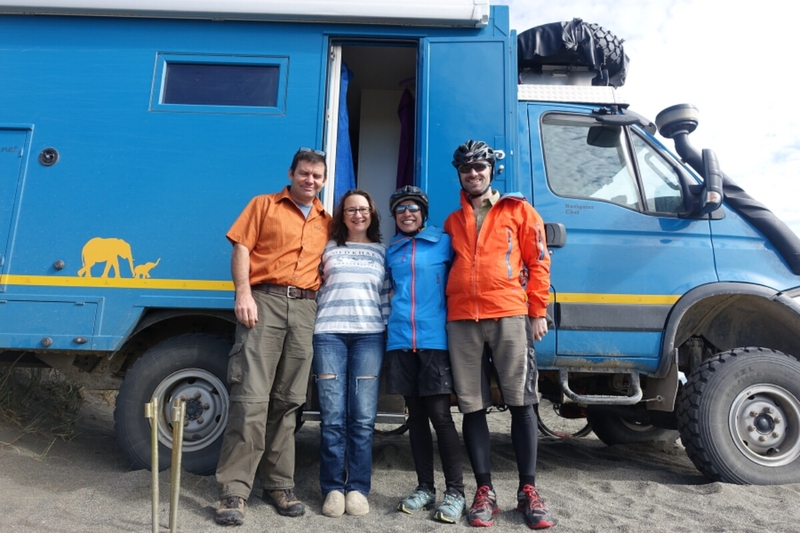 The friendly military offered us a place to camp at the border crossing which we accepted. We were trying to decide if we should camp there till the border opened or do the 3 day detour on main roads to the other border crossing. Woke up to be told by our new army friends that’s the border would stay closed for another 2 weeks! So we had no choice but to turn back and head to the other boarder crossing at San Sebastian. But this would mean a 150km detour on a busy main road full of trucks and cars. The ride back to Rio Grande was actually quite nice as we had the wind behind us for most of it. We pushed through and actually cycled past Rio Grande. At the beach we had our spaghetti and sauce dinner and were then offered a sheltered camp spot by a couple in a cool expedition truck. We were invited in and shared a glass of red wine – nice to meet you Marcus and Julie and thank you for the needed hospitality. You can see their truck at www.tuckstruck.net. This is how I want to travel next time!! A tedious turd of a day. Longest day on the bike yet, almost 120 kilometers of peddling over 15 hours. The first 80km were spent fighting against a strong head and side wind. Average speed was about 7kmph and I was constantly fighting the bike to keep the front wheel on the road rather than the gravel hard shoulder. We bumped into Amanda & Seth coming the other way and chatted for a bit which cheered me up. 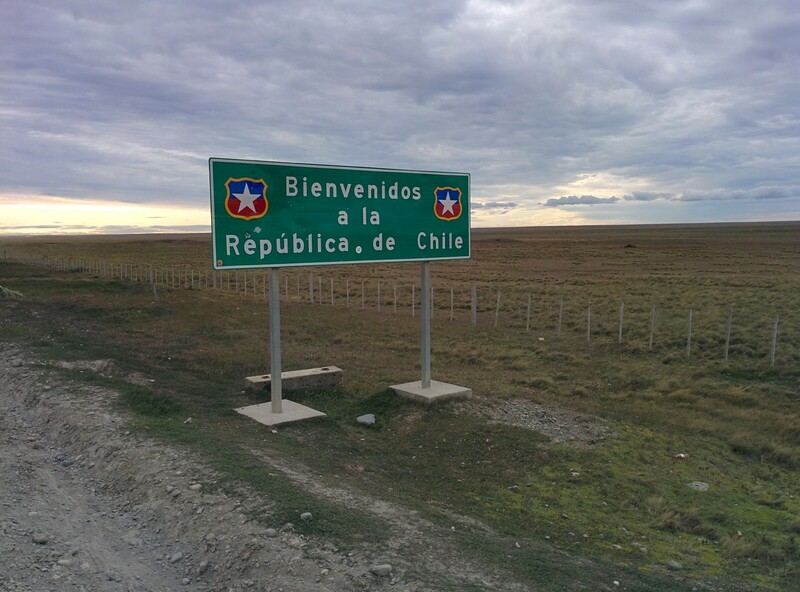 We then crossed from Argentina into Chile at the longest boarder crossing we have ever been on. 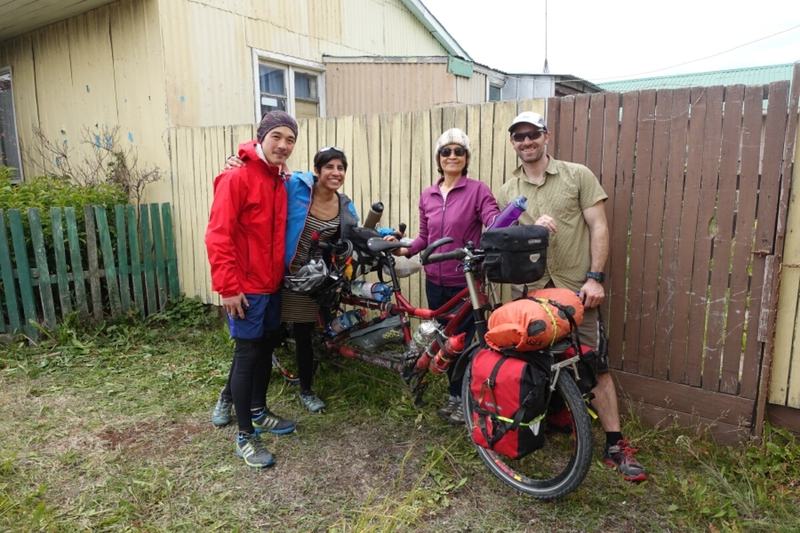 You stamp out of Argentina and then have to cycle 12 km to stamp into Chile. I (James) made the decision to cycle into the night as the winds were dying down and I couldn’t face another full day cycling against the wind. 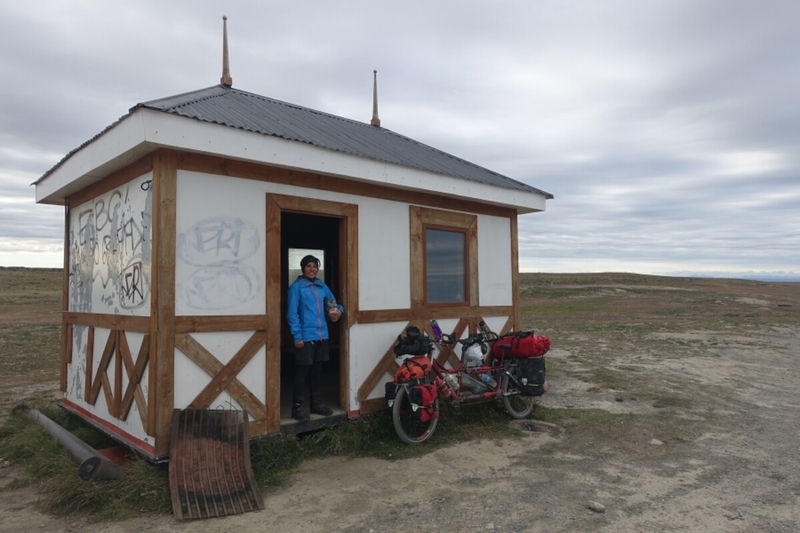 I pushed us on till 1am and finally found a refuge hut to sleep in for the night – Clare only cried for the last 20 minutes of cycling so not to bad ;-). We even had a kind truck driver offer to put our bike in the back of his big rig but unfortunately he was going the wrong way. After a good nights sleep we started early again to avoid the wind. 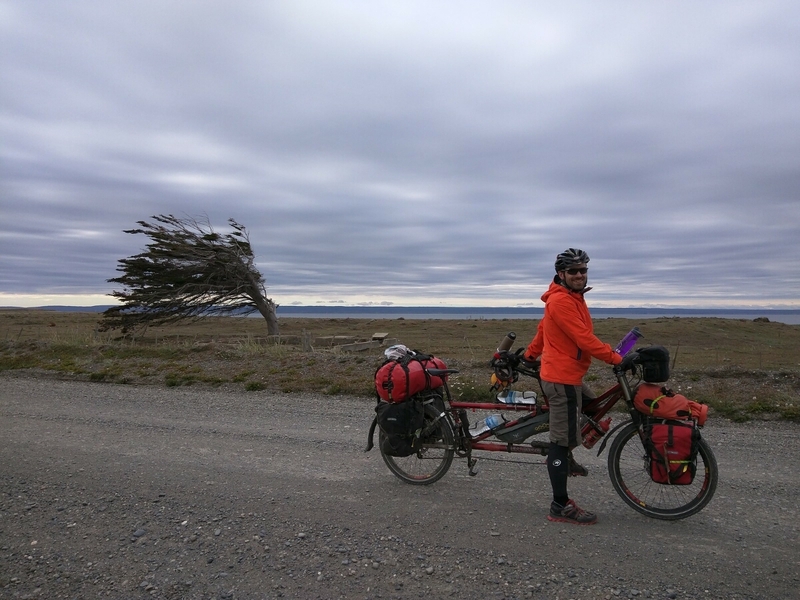 Luckily for us the wind was gone so we decided to push on as hard as we could to try and make it to a little town called Porvenir in Chile. Later we crossed paths with 3 other cyclists heading our direction and a Spanish cyclist going the other way. Picked up some good tips on places to stay that welcome cyclists. We stopped for New Years eve lunch at the beach and enjoyed the beautiful surroundings. Even took a few funny pics for all of you (look at the previous post)! Our luck didn’t hold and about 10km from the town and we got a slow puncture in the back wheel as well as a fierce head wins. Morale was pretty low. We made it to the town to find that everything was closed for New Year’s Eve, including all of the hotels. Someone took pity on us and we ended up camping in his garden and being given good food, drinking wine and watching the fireworks in capital cities around the world on YouTube. A perfect New Years Eve with some new friends. Thank You Zoltan and Pauline. Thanks to the food, wine and shower provided by Taiwanese friends we had a good night sleep and we are not rushing off anywhere! We are now checked into a boarding house and catching up on clothes washing, showering and lazing about. Next we get the ferry to the mainland and continue North. Bye for now. You’re both cycling legends, especially for battling headwinds! Glad you’ve met lots of friendly people on the way. Hasta luego! Wish you were here to push us Timmy D! You guys are crazies!! I don’t think I know anyone else that camped with the soldiers because they can 🙂 Missing you. And happy new year! !